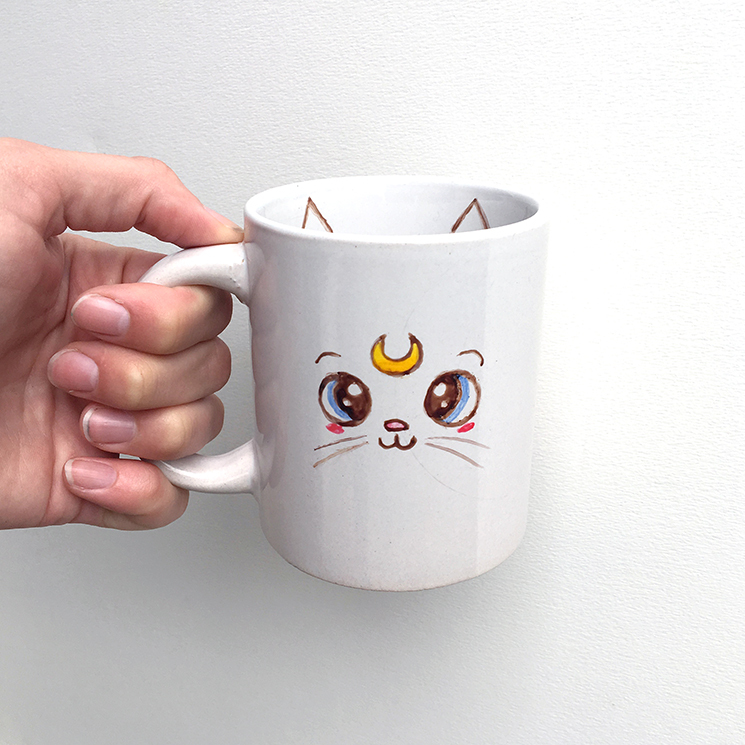 As the chill sets in, what better way to warm your hands than with a hand-painted mug full of hot cocoa! 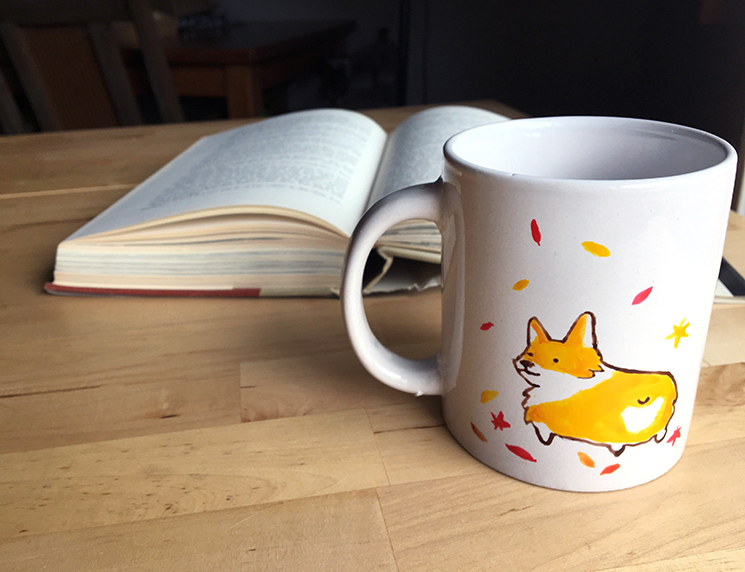 Painting mugs is an easy project, and if you're already thinking about making handmade holiday gifts, this is a great start. The supplies are simple and affordable, and beginners and advanced painters will enjoy this project. 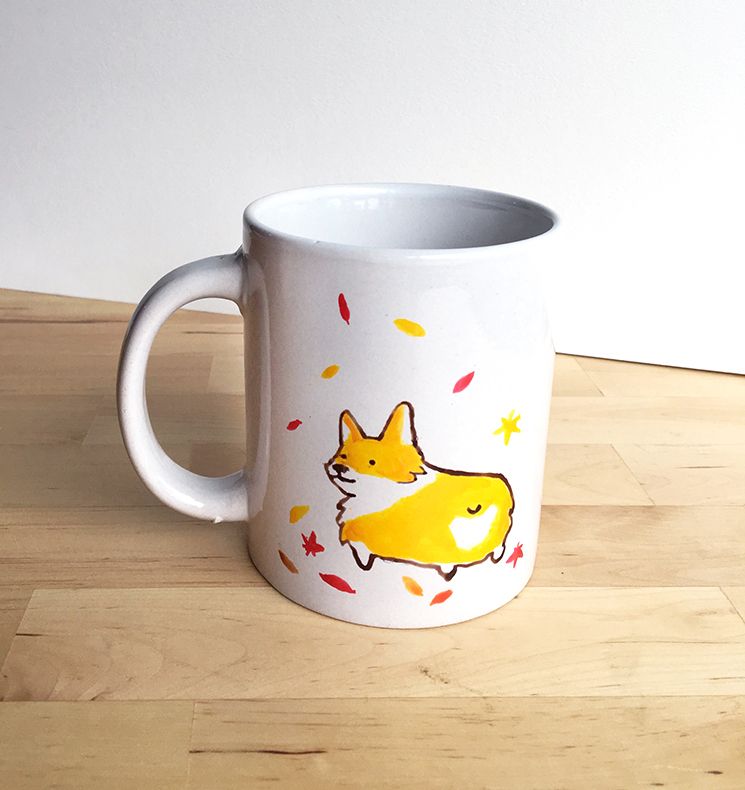 Click the jump below to see more photos, plus tips and tricks on how to paint and customize your very own mug. 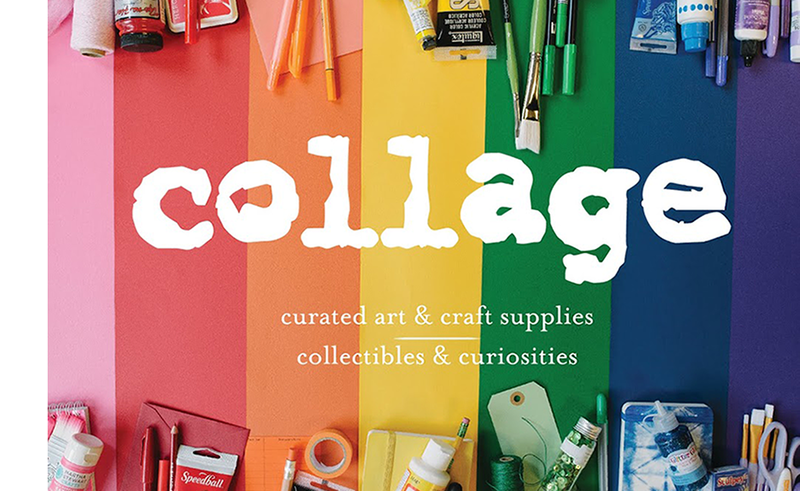 All supplies are available at collage! 2. 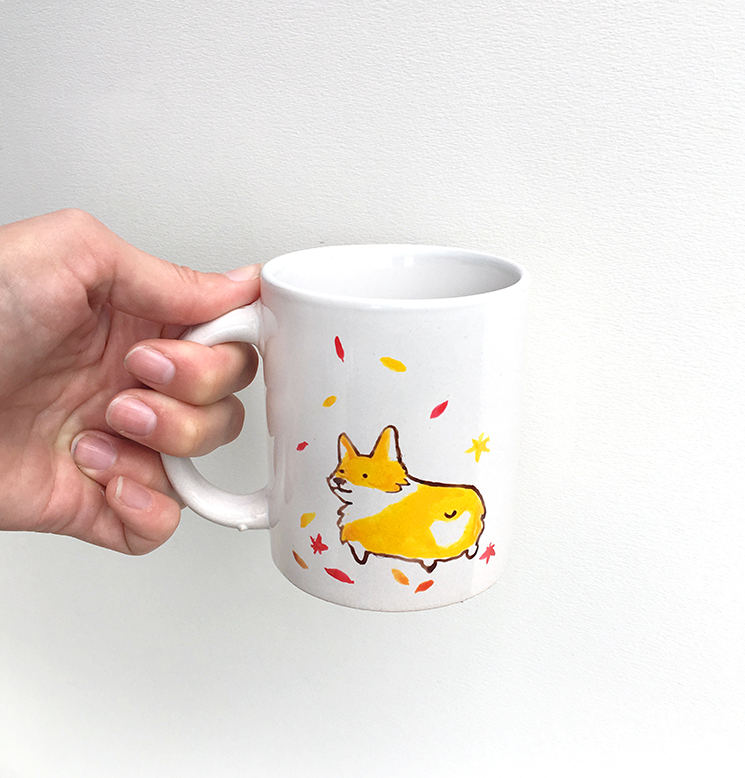 Wash your mug before painting. Having a clean, grease-free surface will give you the best results. 3. Decide on your design. 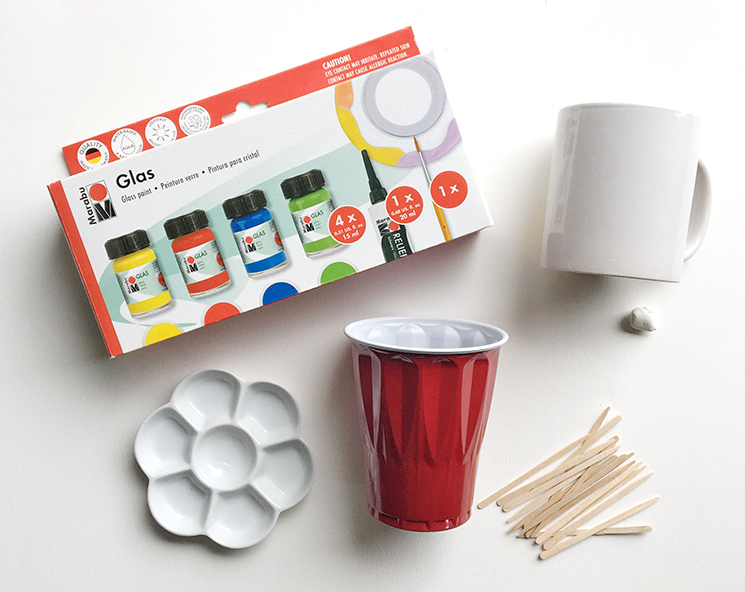 We liked the look of a simple, cute face on the mug, but you can easily mix the paints and get all kinds of colors and effects with them. You might try making patterns like stripes or polka dots, or doing some handlettering. 4. Secure your mug to your working surface: we used UHU Tac to stick the mug to our table, so it wouldn't roll around. This way we didn't have to hold the mug while we painted it. 5. Stir your paints with your toothpick, in case the paints have separated. 7. Once finished painting, allow for three days to dry. 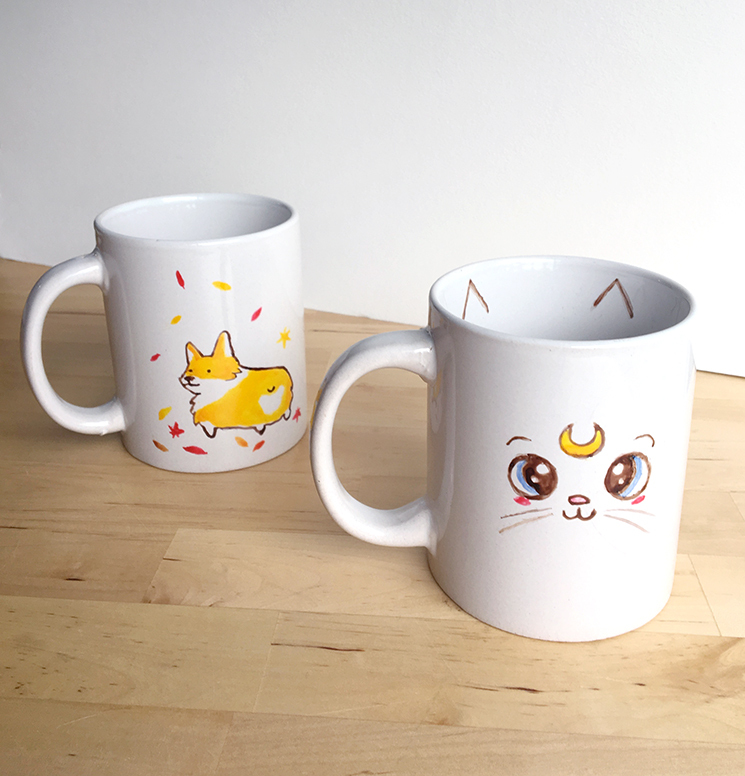 Once dry, the paint and mug are dishwasher safe at a maximum of 122°F. The Maribu set is great because it doesn't require you to cure the paints in the oven. 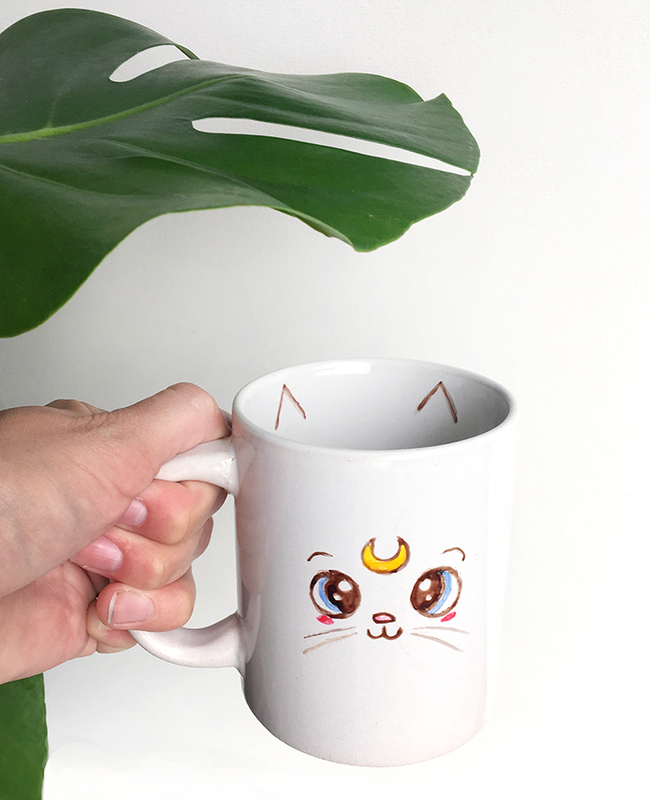 The face of cute cat Artemis from Sailor Moon. The Marabu paint set is made in Germany. It's a water-based and light-fast paint. It flows freely and is transparent when applied. Apply the paint thickly to get a more translucent or opaque look. You can dilute and clean the paint up with water. Aside from porcelain, the paint will also work on glass and acrylic. You can try using stencils with these paints. Use a spongebrush with your stencil, and some tape to hold the stencil in place. Wait about 10-20 minutes for the paint to dry, before you remove the stencil. Don't shake the paints, as this creates air bubbles. Instead, stir the paint with a toothpick. Be aware of any bubbles that form while you're painting, and pop them when they occur. If you don't like your design, you can simply wipe it off with a towel shortly after you've painted it. The paint is touch-dry after 30 minutes, and ready to use after a drying time of 3 days. When washing by hand, use lukewarm water and a soft sponge. The set comes with a black, but it is a thick, relief paste (similar to puff paint). We mixed red, blue, and yellow together to get a grey-brown color. If you mixed any colors, be sure to wash out your mixing dish immediately (or use a disposable dish), so that the paint doesn't become permanent on the dish. The Marabu paint set isn't recommended for kids. 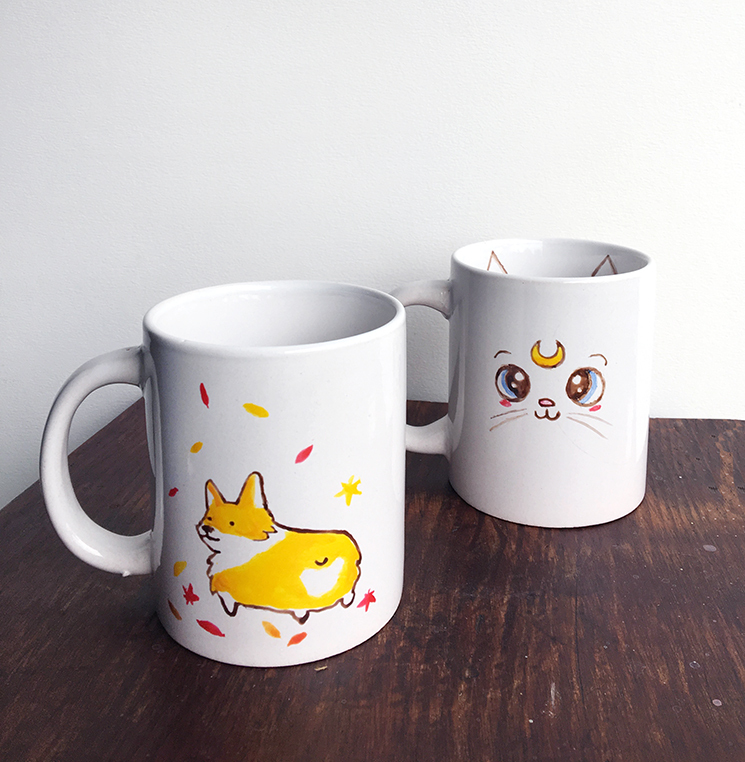 If you would like some other options for mug painting, try using Sharpie Oil-based Paint Pens. You can also try Martha Stewart Craft Paint, following the curing instructions posted here. collage also sells a variety of glass products that would be great to paint on.